A University of Alberta team says it's making advancements in a technology that could revolutionize solar power. The researchers, led by U of A professor Jillian Buriak, who's also a senior research officer at the Edmonton-based National Institute of Nanotechnology, are fine-tuning solar cells made of flexible polymers. Previously developed at the University of Toronto and elsewhere, the plastic solar panels are as thin as a human hair and can be sprayed or rolled onto a surface like paint or wallpaper, or even woven into fabric. 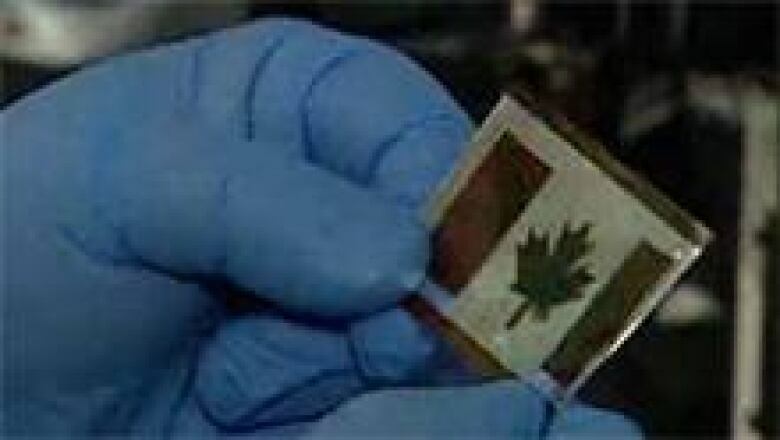 Prototype solar cells have been made that look like business-card-sized Canadian and Scottish flags, for instance, while researchers have suggested the material could be incorporated into clothing and used to recharge wireless devices like cellphones. Buriak and her team hope the solar cells will be commercially viable as early as 2015. 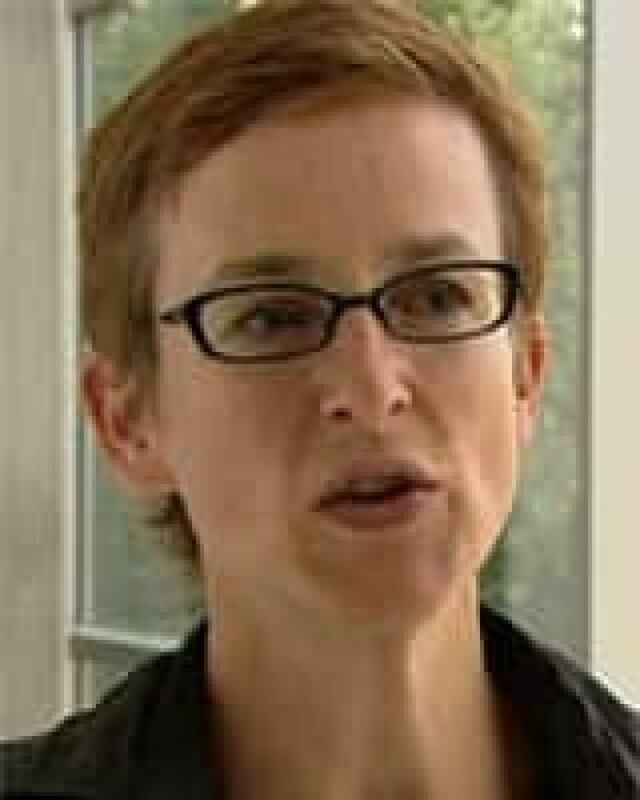 "What we are trying to do is find a way to mass produce plastic-based solar cells," she said. The researchers say there would be many applications for the technology. "In the military, for example, soldiers would usually have to carry around a 30-pound battery with them wherever they would go," research student Brian Worfolk said. "Instead they can just replace that with a one-pound flexible solar cell." Solar panels made from silicon are the current standard, but they are expensive, typically resulting in costs upward of 25 cents per kilowatt hour of electricity generated, or several times the average price Canadian households pay for power. The latest wave of solar technology — including plastic cells and what are called light-guided solar optics — promises far lower manufacturing costs and the possibility of high volumes. "If you can bring down the cost of solar, of electricity generated by solar so it competes with coal, then you've got a winner," Buriak said. "Right now, silicon can't do it. It's just too expensive to make." Only one per cent of Canadian households have some kind of solar power installation, but that could rise drastically in sun-rich parts of southern Ontario, Alberta and Saskatchewan once prices fall. Developing countries could also benefit from cheap, modular ways to provide electricity in outlying regions, Buriak said. "To be able to give them a technology that could be carbon-neutral, environmentally friendly, help eliminate this disparity between rich and poor by simply providing people enough energy to live — I think that's a good thing."